Water is one of the most important elements plants need to survive. Without it, they can’t take up nutrients or create energy. Plants generate almost all of the sugar they need themselves with the help of water. 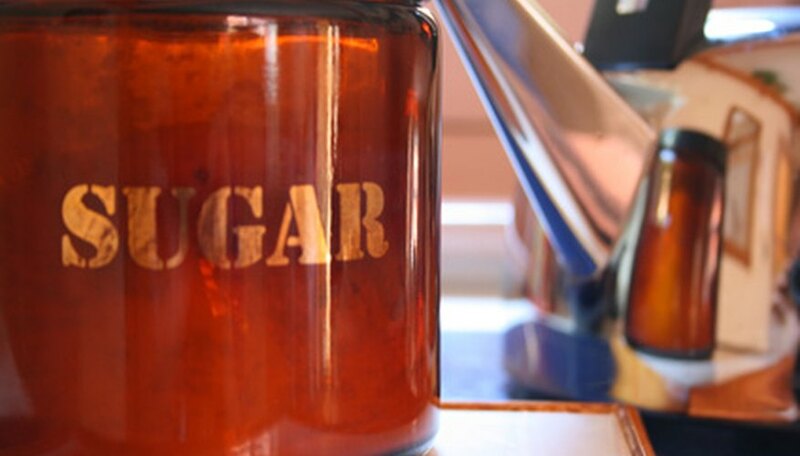 Since sugar is needed by plants, sugar water would seem to also be beneficial. But plants are not designed to absorb a lot of sugar through their roots, and sugar water should only be used under certain circumstances. Using water and sunlight, plants produce sugars to carry out basic life processes. Without sugar, plants can’t grow, breath or release water. Plants also use sugar to absorb nutrients in the soil. Adding sugar to water increases the amount of nutrients available to the plant, but only a small pinch should be used. With healthy plants, sugar is usually not needed at all. Soils that contain a lot of sugar hold moisture without interfering with the plant’s ability to absorb water. Loose soils that drain too much need to be able to hold water, but soils that are clay-like, compacted or poorly drained can end up holding too much, which can cause fungi growth and interfere with the balance of oxygen in the soil..
Other organisms besides the plant consume sugar, including fungi and bacteria. While all soils have these microorganisms, too many can be harmful to the plants. Not only do they compete for nutrients, but they can also infect the plant. Yeast is one example of a harmful microorganism that can infest a plant and kill it. Cut flowers remain fresh longer if placed in water with sugar. The sugar provides the energy needed for the plant to maintain itself before it finally runs out of nutrients and starts wilting. Plants that are wilted lose water pressure, which inhibits the plant's ability to absorb water. Adding sugar to the water aids the plant in absorbing moisture by retaining the moisture in the soil, which can revive wilted plants. But this same effect is not always found in healthy plants since sugar can interfere with a plant’s ability to naturally produce sugars. According to Michigan State University, adding sugar water to the soil of fruit plants can result in larger and juicer fruits. Can Pickle Juice Promote Good Health in Plants?